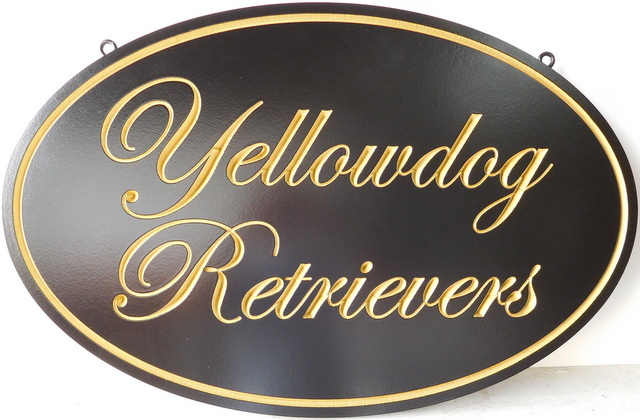 This beautiful and elegant, carved HDU elliptical sign "Yellowdog Retrievers" has script text and a border which are V-carved engraved and gilded with 24K gold leaf. The sign is protected from fading from UV radiation with two clear coats. It can be mounted on a wall or hung from a wood or wrought iron scroll bracket. To view many more retail and business signs in Gallery 28A, please click on "Return to List" below right.ist" below right.